Show up and speak up for the John Wayne Pioneer Trail at two upcoming meetings held by Washington State Parks as part of a planning process under way to examine the trail’s opportunities and challenges. If you can’t attend a meeting submit written comments by contacting Randy Kline, Parks Planner, (360) 902-8632 or randy.kline@parks.wa.gov. 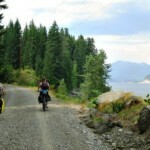 The trail is an amazing bike tourism opportunity as the longest rail trail in the US. Just think: We can connect from Washington into Trail of the Coeur d’Alenes and Route of the Hiawatha on the east, the many great trails in the Puget Sound in the west, for an incredible system. As tourism promoters will attest, the longer a trail is the farther people will travel to bike it and the more they will spend per day while on their trip, making this an incredible destination asset as well as a gem for the people of Washington. 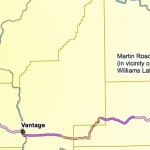 The John Wayne Pioneer Trail stretches across the state in purple. The orange trail that crosses it is the Columbia Plateau Trail. At the open house you can identify trailheads and camping opportunities, among other topics they’ll talk about in a presentation and breakout discussions. The committee appointed to advise the planning process includes Blake Trask, Senior Director of Policy for Washington Bikes, and Marie Dymkoski, Pullman Chamber of Commerce executive director, who serves on the board of Cascade Bicycle Club and previously served on the board of Washington Bikes. 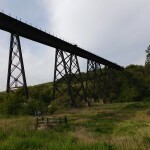 This article was posted in Advocacy, Alert, Infrastructure, News, Rural, Tourism, Trails, Travel and tagged bike tourism, Cheney, Ellensburg, John Wayne Pioneer Trail, trails, travel. Bookmark the permalink. Follow comments with the RSS feed for this post. Both comments and trackbacks are closed.